You are at:Home»News Pages»Money & Investments»The Air is Thick with Anxiety! Could There be a Silver Lining? The Air is Thick with Anxiety! Could There be a Silver Lining? You may find yourself extremely unsettled by the ups and downs of the markets. It has become increasingly difficult to make educated decisions on what you should do with your money. Investors have to cope with continued concerns about Europe and political and economic uncertainties in the U.S. Headlines focus on the Wall Street protests, consumer confidence hitting lows, increased bank fees from financial institutions facing their own crisis of confidence, the foreclosures and short sales here in Central Oregon as well as the rest of the country, inconceivable government deficits and the pros and cons of record low interest rates. How could the air not be thick with anxiety? These fears have caused the world’s stock markets to recede severely in the third quarter, with the S&P 500 declining by nearly 14 percent. The third quarter return brought the S&P 500 down to just shy of negative nine percent for the year. I believe this is a period of time that will require patience on the part of long-term stock and real estate investors as we work through these challenges. I also feel it is all too common to focus on our current dilemmas and challenges without looking at the positive signs that often- concurrently lie before us. As a point of reference, even though the markets have experienced extreme volatility, the S&P 500 index level at the end of the third quarter was 76 percent higher than it was at the recent market low of March 2009 and just over 20 percent below the recent market peak in October of 2007. This does not even take into account the healthy gains we have experienced in October as the Dow surpassed the psychological hurdle of 12,000 on October 27 after European leaders secured a deal under which private investors agreed to take a 50 percent loss on Greek debt and the firepower of the region’s bailout fund was increased. In light of the recent decline, stocks appear historically attractive, with forward looking P/E valuation levels nearly 30 percent below historical averages. With earnings estimates for the S&P 500 firms at their highest level in over ten years and interest rates at historically low rates, there is much statistical support for the concept that equities are trading at unfairly depressed prices. Likewise, in nearly every major world market, current dividend yields are greater than the yield on ten year government bonds. On the surface, the case for investing in equities, when they are trading at a 30 percent discount with higher current income than treasuries, seems to be strong. Aside from the appropriate concerns over Europe, consumer confidence seems to have had the biggest impact on the recent decline in equities prices. The Consumer Sentiment Index has dropped to a level near 60 for only the fifth time since 1970. The average stock market return for the 12 months following a drop in the index to this level has been over 24 percent, providing caution to investors in abandoning long term equity holdings in periods when the general feeling among consumers is negative. The most recent domestic recession ending in July 2009 was the longest recession since the early 1930’s. Should the current U.S. expansionary cycle end abruptly, it would be the second shortest expansionary cycle in that same time period of over 80 years. The general consensus among economists is that the likelihood of the longest recession since 1930 being followed by one of the shortest historical recoveries is less than 50 percent. Should this prove true, it would bode well for investors, as markets have historically experienced positive growth immediately following a period of recessionary fears that did not materialize into an actual recession. Going back to 1950, there has never been a 20 year period when an investment in the S&P 500 would have produced a negative return. Likewise, there has never been a five year period when the negative return has exceeded an annualized rate of two percent. Benjamin Graham, a noted investor, recognized that investing requires a certain mentality, “Individuals who cannot master their emotions,” he said, “are ill-suited to profit from the investment process.” Diversified portfolios provide prudent opportunities for long term investment success, with investor emotion being historically more detrimental to success than market or economic factors. It’s human nature, in challenging times, our emotions tell us to pull out of the markets and run for the hills. However, this creates two big problems. First, it’s hard to see opportunities from far up in the hills. And second, when markets turn around, it can take too long to climb back down and get invested again. Selling during periods of market stress may cause you to feel the pain of loss twice: first, you lock in your losses, then you risk missing out on the market’s eventual recovery. This can leave a hole in your savings that never really gets repaired—you will have fewer saving to build on than if you stayed the course. Instead of fighting an exhausting battle with your emotions, develop a diversified long-term strategy and stick to it. After all, your long-term goals don’t change overnight—so why should your portfolio. David Rosell is President of the Rosell Wealth Management in Bend. He is the President of the City Club of Central Oregon and the Past Chairman of the Bend Chamber of Commerce. David can be reached at 541-385-8831. Check out his new web site: www.RosellWealthManagement.com. 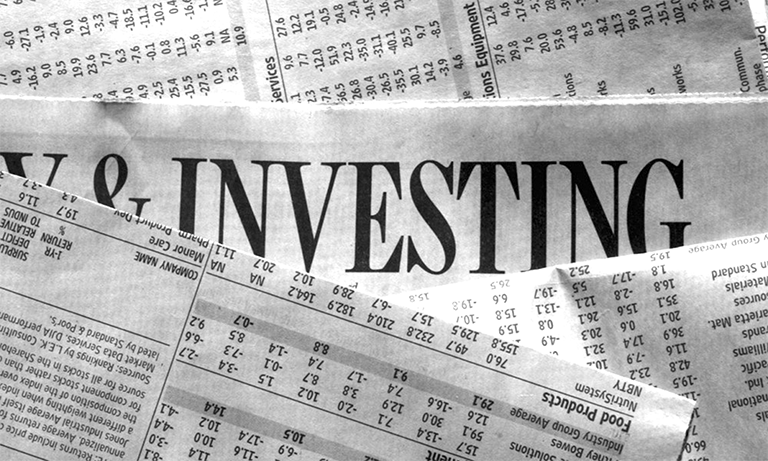 Investment advisory services offered through Rosell Wealth Management, a State Registered Investment Advisor. Securities offered through ValMark Securities, Inc. Member FINRA, SIPC 130 Springside Drive, Ste 300 Akron, Ohio 44333-2431. 800-765-5201. Rosell Wealth Management is a separate entity from ValMark Securities, Inc.